Oh, no! 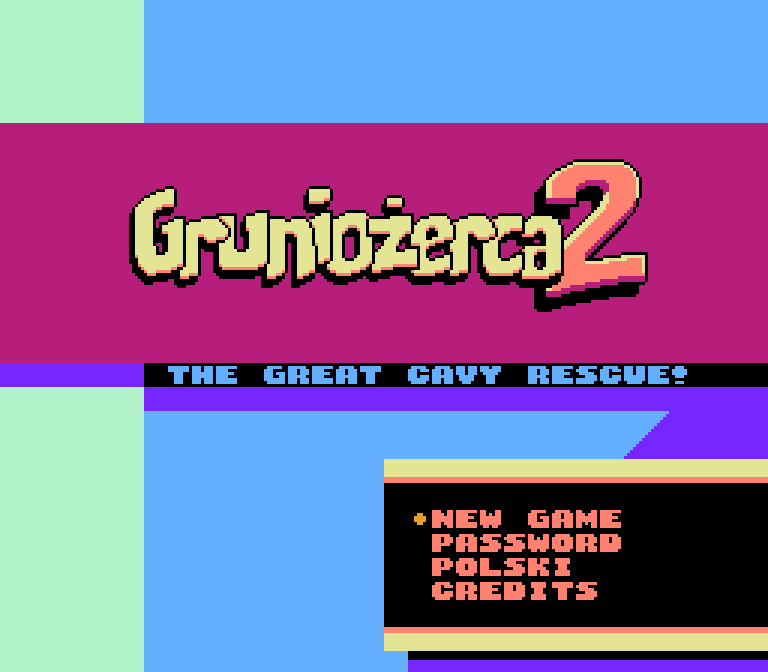 Gaming personality Dark Archon has gotten lost in his labyrinthine cellar again—and it's up to his pet guinea pig, Grunio, to lead the rescue! Luckily, Grunio’s chew toys have been strewn all throughout the house, the cellar being no exception. 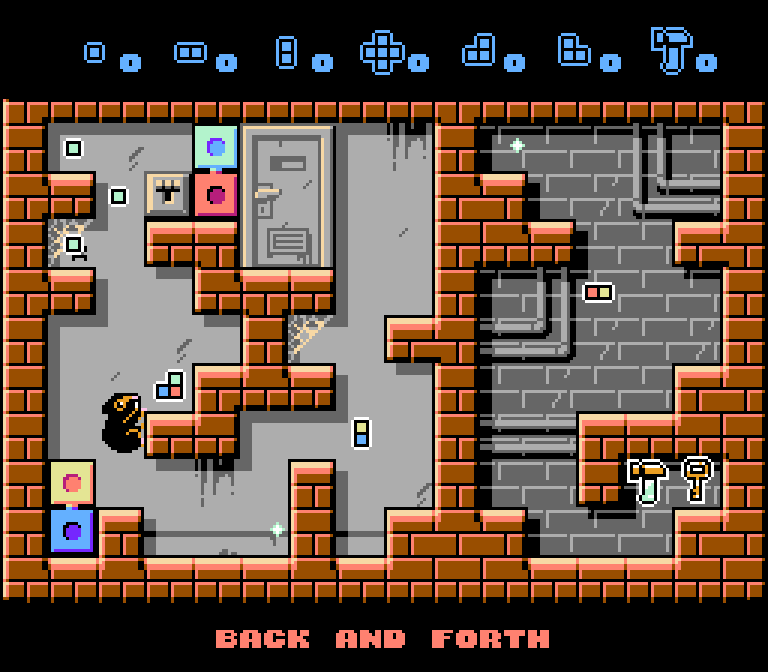 So, help this piggie place blocks, swing squeaky hammers, push stools, press switches, collect keys, devour carrots, leap, climb, teeter, tumble, and flop his way through 24 dark, dingy, and drab basement doors. 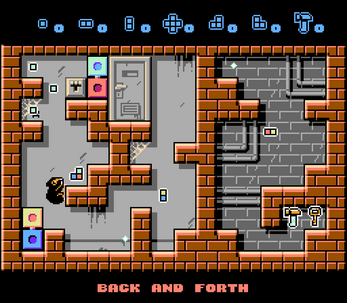 NES ROM: Play it how you want—on an emulator or flash cart of your choice. 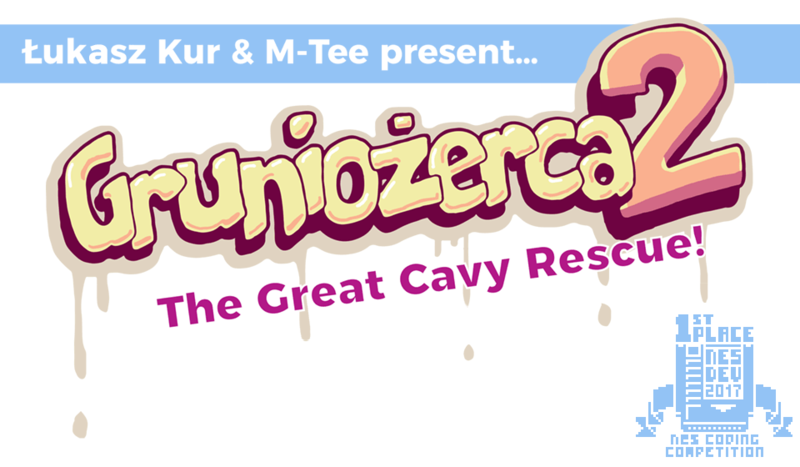 Two dozen meticulously designed platforming puzzles. 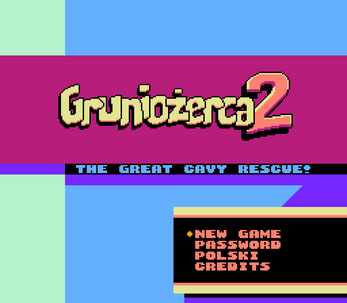 Dual-language support: Full game and manual in both English and Polish. Pro Tip: Grab every carrot if you don't want to deal with a hungry cavy! 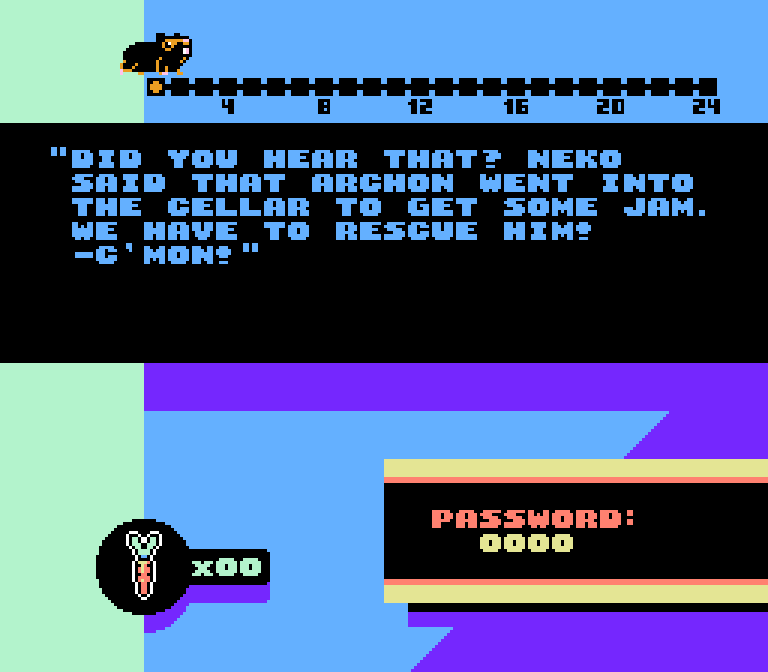 To play your downloaded titles, use an NES emulator of your choice (we suggest Mesen) or a flash cart such as the Everdrive or PowerPak for your NES, Famicom, Pegasus, Comboy, or AVS. Approval for the Homebrew ROM(s) for my project on Github - Thank you.